A never ending argument, a battle of two passionate cultures or a matter of taste and preferences. Call it whatever. 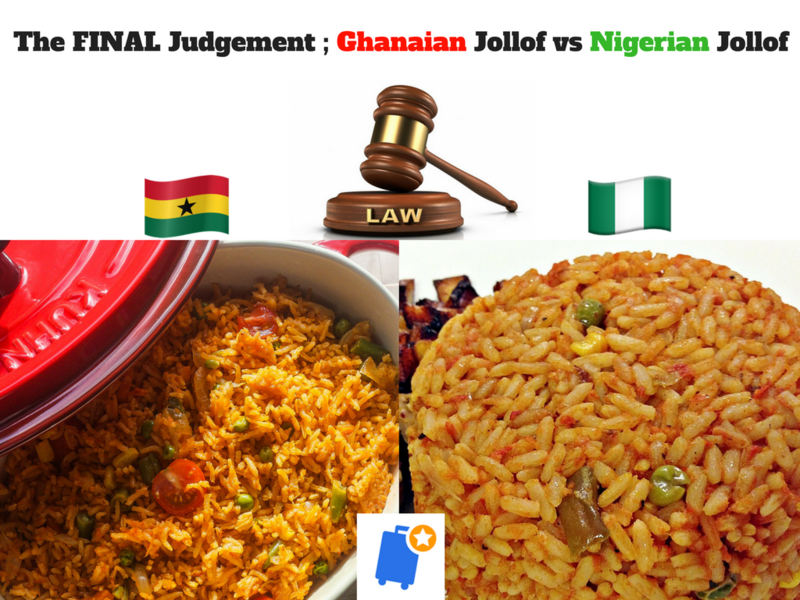 The age old debate between Ghanaians and Nigerians about their respective ‘’jollof’’ has to come to an end at some point. Although there is no ‘’jollofmeter’’ to measure the quality or otherwise of each, we can conclude this long fought battle for supremacy by taking the respective meals through these few parameters. What is Jollof? - Legend has it that the Wolof people of Senegal invented this meal presumably because of it’s name. It is made with rice, tomatoes, tomato paste sometimes with spices and vegetables. It is accompanied by either meat, chicken, fish or eggs. Some even go the extra mile of adding ‘’cole slaw’’. But if it’s original name was ‘’Wolof’’, can Ghanaians and Nigerians stop the battle now and explain to us why the name ‘’Jollof’’? Well, now that we have identified what it is, let’s put both of them on the table. Which qualifies as jollof and which doesn’t? Per the method of preparation, ingredients and final outcome (devoid of taste however), we can confidently say that, both Ghanaian and Nigerian jollofs pass this test. Score after round 1: Ghana 1-1 Nigeria. 2. Taste : On to round 2. This is the most difficult parameter to have used thus far with taste being a subjective parameter depending on individuals. There is no way a ‘’Ghanaba’’ who has lived in Ghana since birth or a proper ‘’Omo Naija’’ will accept that the opposite country’s jollof is better than theirs. If you are used to eating one type of jollof always, then briefly tasting another will hardly cause a change in your preference. It is easy to fall victim to that school of thought which suggests that a neutral person tastes both and passes judgement. But with so many years of this practice, we seemed not to be going anywhere. Many tourists visit both Ghana and Nigeria tasting both ‘’Jollofs’’. In the end, when you ask which tastes better, you may not like what you hear. When in Accra, in order to avoid Ghanaian trouble, they choose Ghana jollof. When in Lagos, you dare not choose another. After interactions with a Ghanaian , Yaw Baah - who has lived in both Ghana and Nigeria tasting both meals, the findings were that he preferred Ghanaian jollof because it is often less spicy and the type of rice often used is perfumed long grain. On the other hand, Nigerian Jollof to him was very spicy and the grains were very big. The taste to him wasn’t that different but the moisture content of the Nigerian jollof was higher making it sticky. In order to avoid bias, we had a chat with a Nigerian lady as well who has lived in both countries and has tasted both meals. Expectedly, she chose Nigerian jollof over the Ghana one because she thinks Nigerian is more nutritious and gets one full as compared to the ‘’light’’ Ghana jollof. Their assertions may not reflect what the whole Ghana and Nigeria think but based on their submissions, we score this round Ghana 1 - 2 Nigeria. And yes! There is absolutely nothing to pick between these two. Ghana Jollof is Ghana Jollof and Ghanaians love it just the same way Naija Jollof is Naija jollof and Nigerians adore it. When jollof is carefully prepared, noting the right ingredients and properly garnished, it doesn’t even matter whether it is Ghanaian or Nigerian. Just dive in and kill it! 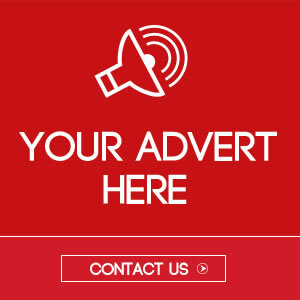 Just note that the social media polls and boastings have no bearing on the taste of jollof you decide to eat. If you are a tourist in Africa, just ensure to consult local folk before deciding on any type of jollof to eat. They know where the best food is.